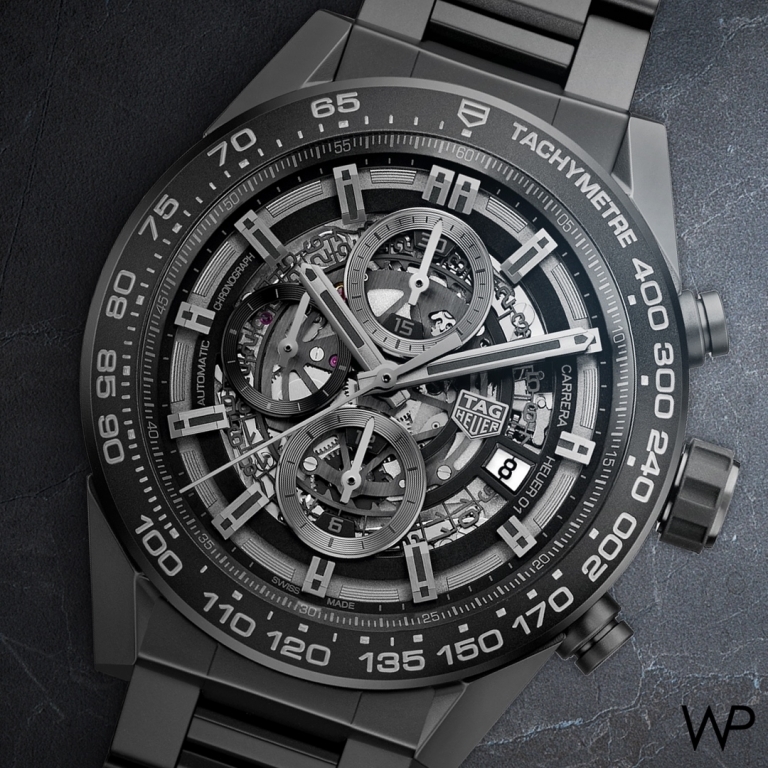 Totally black and totally matt, TAG Heuer is unveiling its very first proprietary men’s chronograph made entirely from ceramic, including the bracelet. Presented for the first time two years ago at Baselworld, the Carrera HEUER-01 is THE signature Chrono model from the TAG Heuer manufacture. In 2015, the watch formed the cornerstone of a burgeoning new collection, with a new design, a new HEUER-01 in-house calibre, and a new modular case design with 12 different elements enabling multiple combinations of materials and colours. For this 2017 version, the sleek chronograph — the brand’s current best-seller — has been entirely produced using matt black ceramic. The case, bezel, lugs and case middle (all the parts exposed to friction) are made from black ceramic. This material offers unparalleled scratch-resistance. It presents a micro-blasted finish for a flawless deep black design.